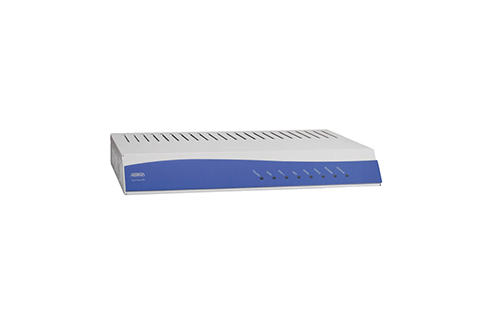 Adtran’s line of Total Access IP business gateways includes the TA900, designed specifically to help carriers offer network services in a cost-effective manner while maintaining and supporting existing legacy infrastructure. Specifically targeting the VoIP deployment market, the Adtran TA900 supports many different SIP trunks, PBX and hosted PBX solutions as well as other integrated voice and data services. Operators turn to the Adtran Total Access 900 when they need to support small and mid-sized businesses affordable with a variety of dedicated internet access and voice services. The ability to manage analog to SIP or MGCP conversions allows them to build out a dynamic IP network that still makes use of a variety of client and customer legacy gear. Supporting legacy equipment during an overall upgrade can be a concern for many small operators, making a refurbished Adtran TA900 from Worldwide Supply a top option. Your network can still reach all of your customers while you upgrade and advance your voice-related offerings. The Adtran Total Access 900 is still a top performer with leading firewall, routing, VPN, QOS, voice quality, remote management and dynamic allocation capabilities. It supports as many as 24 analog FXS ports that are necessary for a variety of PBX phone system functions. Choosing a used Adtran TA900 as your Integrated Access Device gives you reliability thanks to the Worldwide Supply team of experts. We bring every piece of used Adtran equipment back up to its original factory requirements and standards, so the Adtran brand is still reliable and useful. We test every piece for real-world reliability and are proud to offer a significant array of new and refurbished Adtran TA900 options for you to use during network transitions or for attracting new customers who need legacy support.